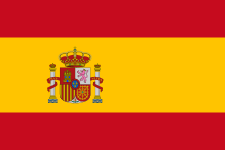 This name uses Spanish naming customs: the first or paternal family name is Reñones and the second or maternal family name is Crego. Pedro Tomás Reñones Crego (born 9 August 1960), known simply as Tomás, is a Spanish retired footballer who played as a right back. He was best known for his spell at Atlético Madrid, for which he played 12 professional seasons, also being a regular for Spain in the late 80's, representing the nation in one World Cup and one European Championship. Tomás was born in Santiago de Compostela, Galicia. After one season with hometown's SD Compostela he joined Atlético Madrid in 1981, first playing with its B-side. In 1984–85, he made his La Liga debuts and never again lost his starting XI berth, going on to amass nearly 500 overall appearances for the club. On 25 May 1996, Tomás took the field in the 80th minute of his final game, a home fixture against Albacete Balompié, to a rapturous ovation. Although he played in only 12 matches during the campaign, he aided the Colchoneros to an historic double, and retired altogether in 1998 after two stints in the lower leagues. Tomás earned 19 caps for the Spanish national team, and was selected for the 1986 FIFA World Cup and UEFA Euro 1988 (both as a starter, as he appeared in seven complete matches – out of eight – combined). His debut came on 20 November 1985 in a 0–0 friendly with Austria, in Zaragoza. Reñones embraced a career in politics after retiring, being elected by Grupo Independiente Liberal (GIL, founded by longtime Atlético president Jesús Gil) to the Marbella city hall, in the sports departments. After the local mayor was arrested due to a corruption scandal, he took office in 2006 as interim, but soon faced the same charges and was arrested by the Spanish police, as part of Operation Malaya. ↑ "Tomás, al Marbella, y Radchenko, al Rayo" [Tomás, to Marbella, and Radchenko, to Rayo] (in Spanish). El País. 7 August 1996. Retrieved 21 April 2016. ↑ "0–0: Nos congelamos todos" [0–0: We all froze] (PDF) (in Spanish). Mundo Deportivo. 21 November 1985. Retrieved 21 April 2016.